SHOW ME YOUR WARDROBE.COM: Thank you Dazed! 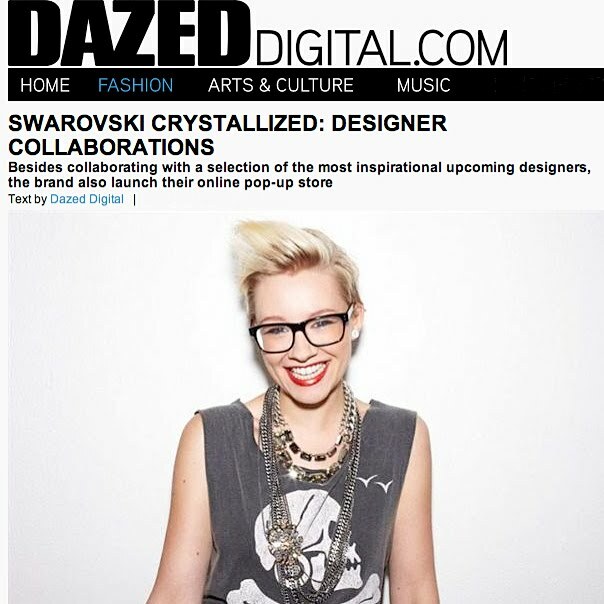 I just wanted to say a quick thank you to DAZED DIGITAL who did a lovely little feature on me and my collaboration with Swarovski Crystallized. I can't tell you how happy I am when I spot things like this; sending a MASSIVE thank you!